What Does a Reconditioned Engine Stands for? Reconditioned engine may, one way or another, be confusing term for you. You may be thinking of an engine that has been either rebuilt or refurbished in accordance with the latest technical needs. But the extent of a refurbished engine is somewhat more extensive compared to what you are thinking. Here in the write-up, we will be discussing whether a reconditioned engine is a right selection or not. Suppose you are luckless enough to have you car breakdown while going to your office and it is not protected by any warranty scheme. A worry shadowed over your face just because you are foreseeing the feasible cost going to incur on your budget, as you don’t want to throw your car away. In such conditions, reconditioned engines make a difference. It protects your budget against the possible spending over purchasing new engine for your car. There is, in fact, no widely-accepted explanation for a reconditioned engine. But generally an engine that is reengineered and lifted out of a wreck by fixing some advanced components and hardware is called reconditioned engine. Such engines are technically advanced in several ways as they have new and more efficient components. The engineers prepare reconditioned engines in line with not only bringing life to the wrecked engine, but also increasing the efficiency in an impressive way. These days, the companies providing reconditioned engines offer a range of such engines for different advanced cars. 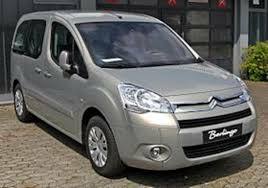 Reconditioned Citroen engines have advanced components and hardware that works better and more efficiently. While purchasing a reconditioned engine for your car, you need to consider some important points. Ask the purchaser to show all the technical contents and properties before you purchase a particular machine.